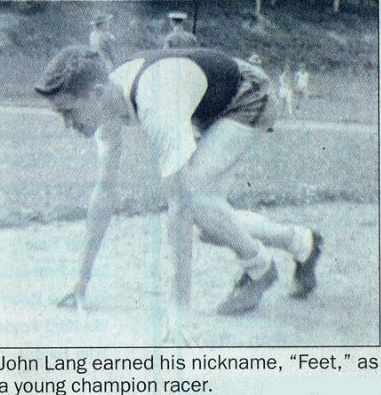 Affectionately known to teammates and members of the teams that he coached by the colorful and appropriate nickname “Feet,” John Lang enjoyed a long relationship with the Lowell High School Track and Cross Country programs. 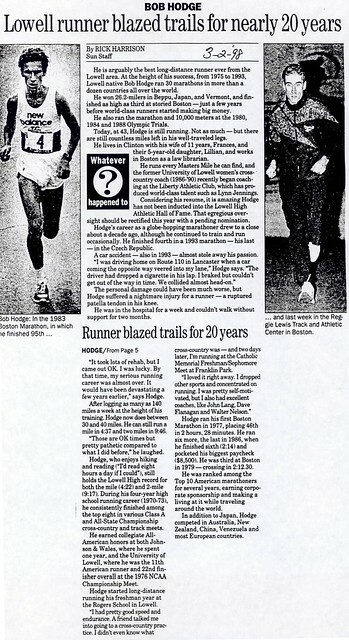 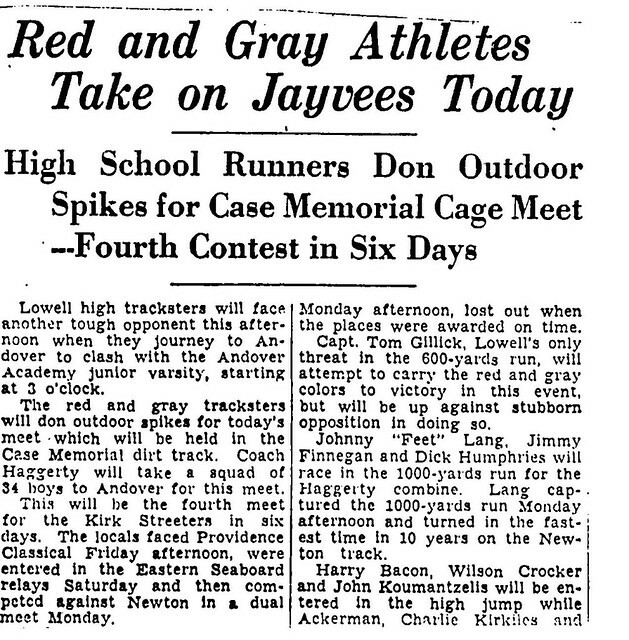 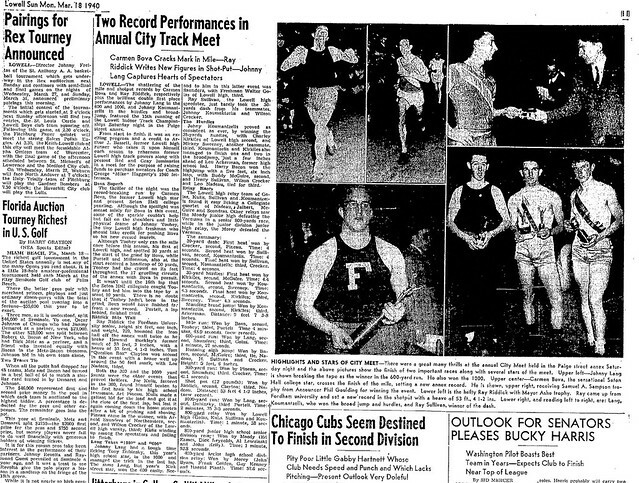 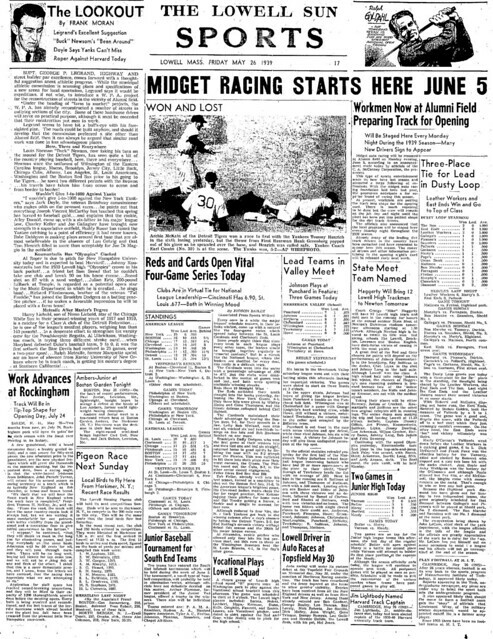 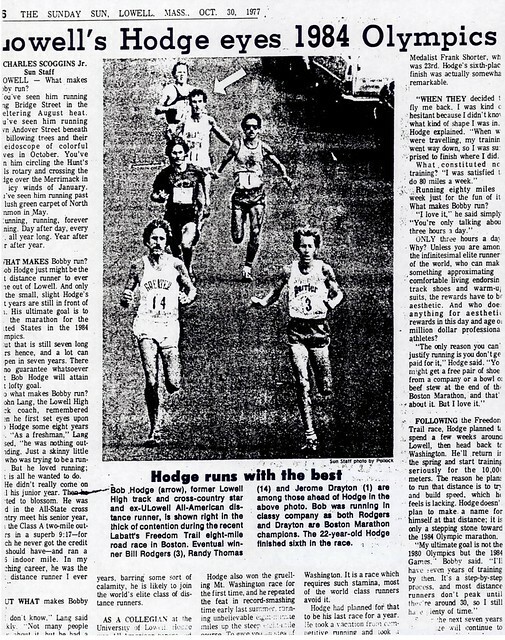 Beginning with his career as a standout middle distance runner on Hall of Fame Coach George “Mike” Haggerty’s Lowell Track teams of the late 1930’s and continuing again during his tenure as Red and Gray Boys Cross Country and Track and Field Coach from 1967–1986, John was a fixture on the local track scene. 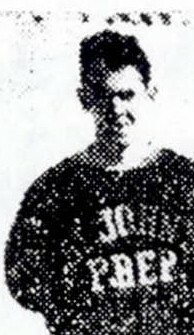 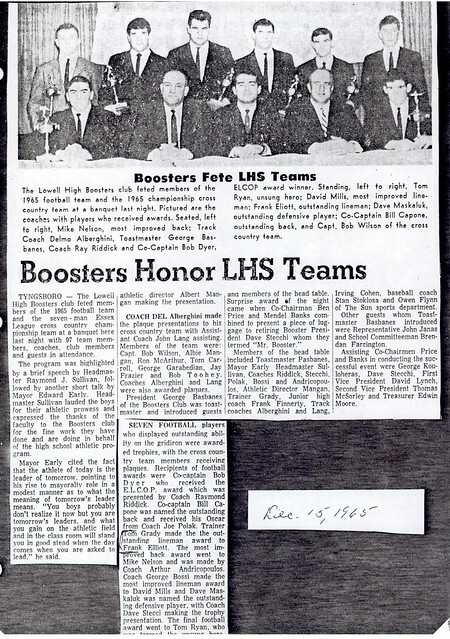 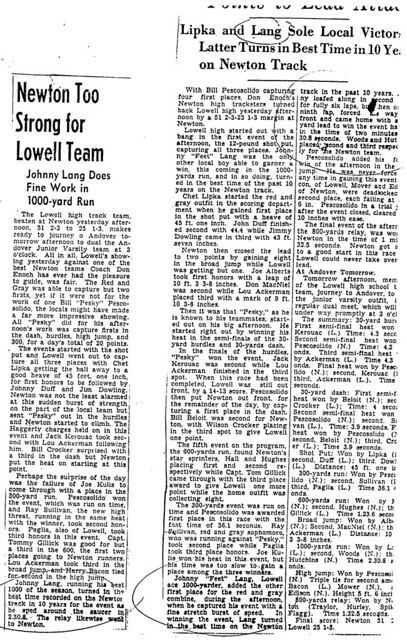 During his competitive years at Lowell High (1938–1939) John was a standout under Coach Haggerty, regularly winning the 1000-yard and 880-yard runs and occasionally the 600-yard run in interscholastic competition. 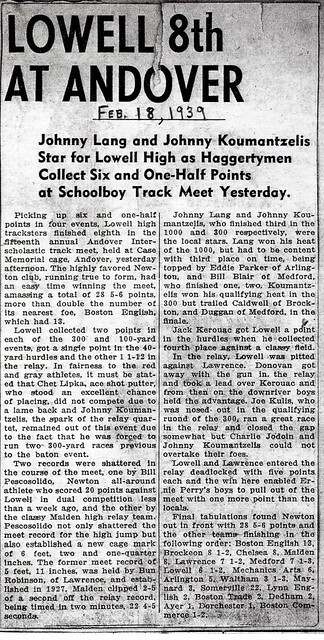 Among the highlights were a victory in the 880 over a strong field representing all areas of New England in a New England A.A.U. 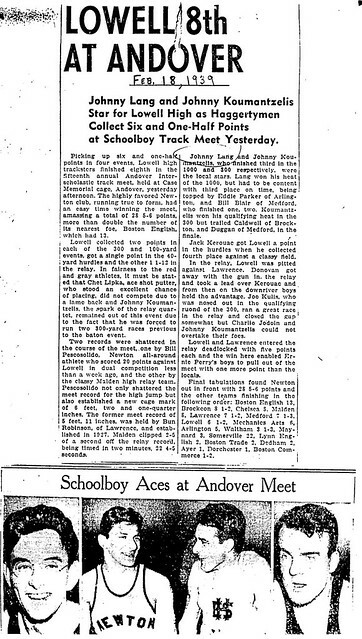 meet in Malden and a strong 4th place finish in the 1000 against a stellar field in the elite Eastern Seaboard Relay Carnival at Boston Garden, improving his previous best time in the event by an incredible 10 seconds! 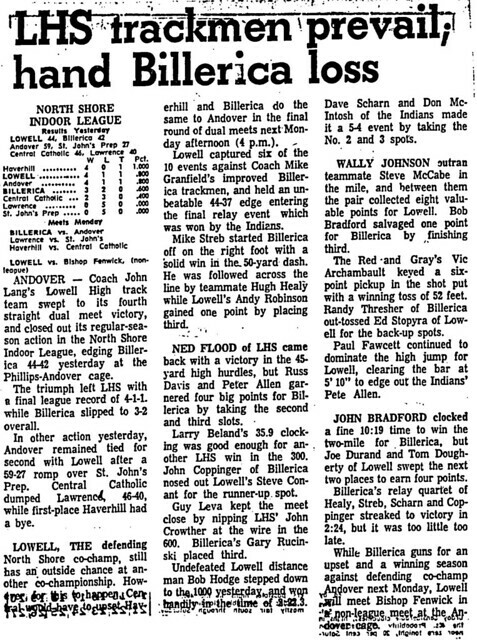 John was also a regular victor in Lowell High’s dual meets. 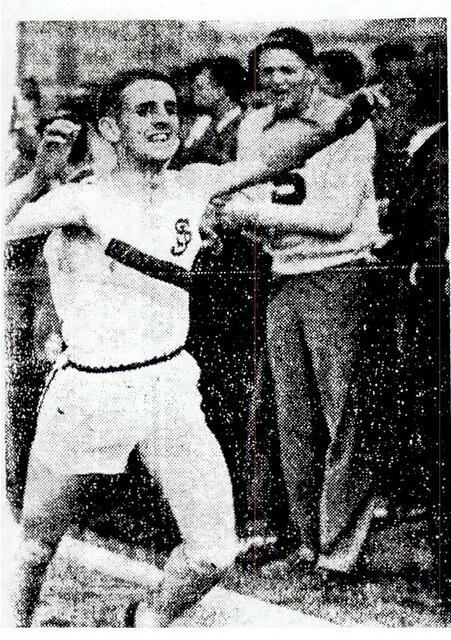 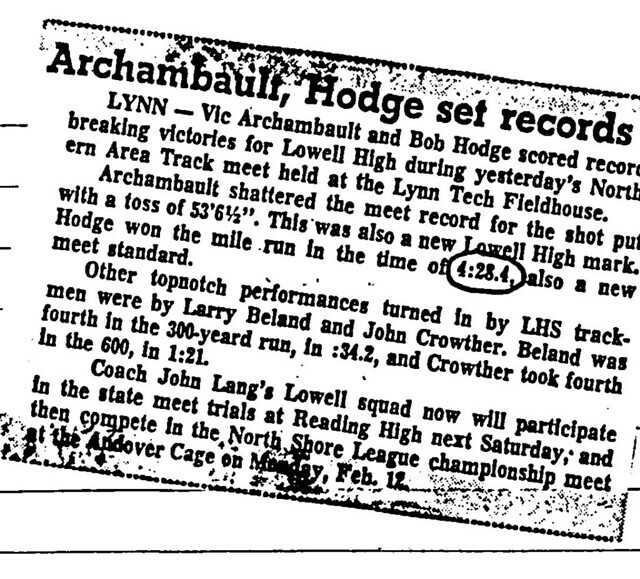 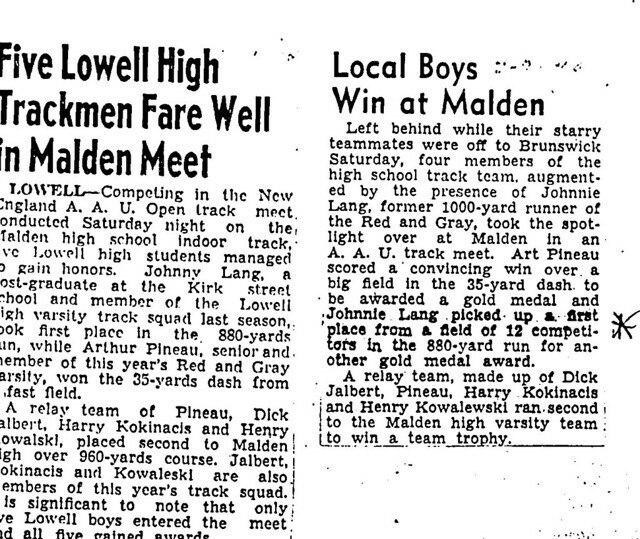 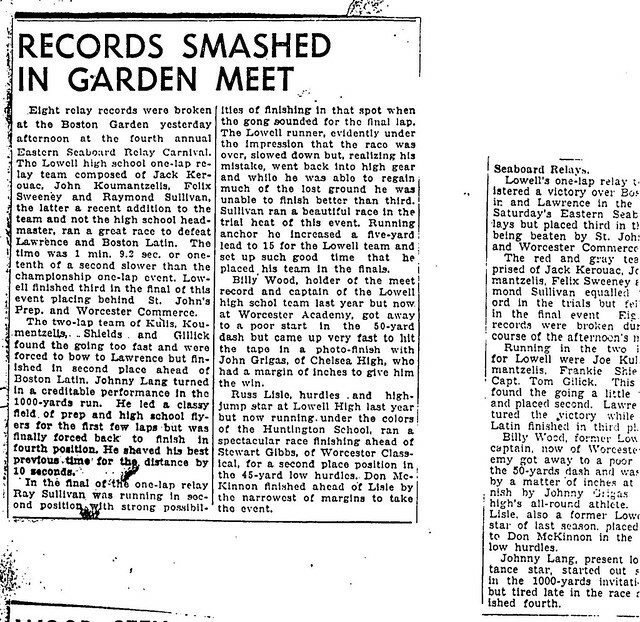 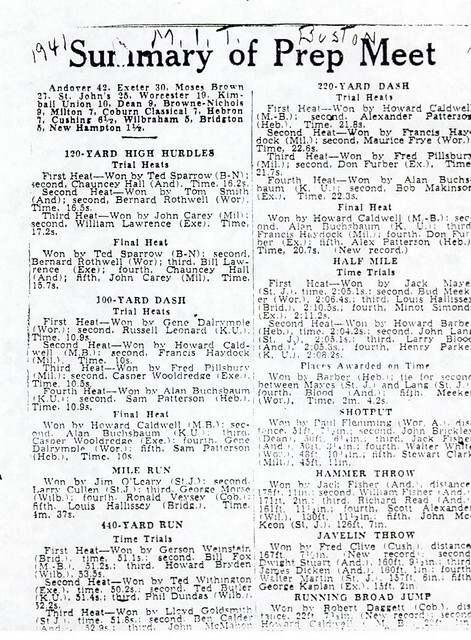 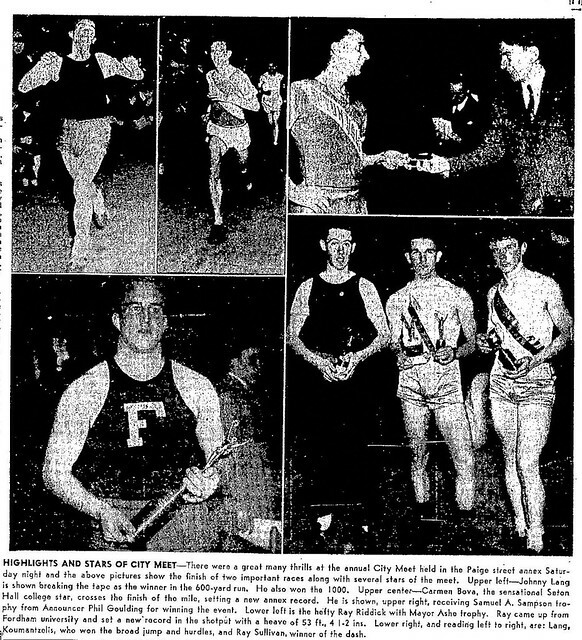 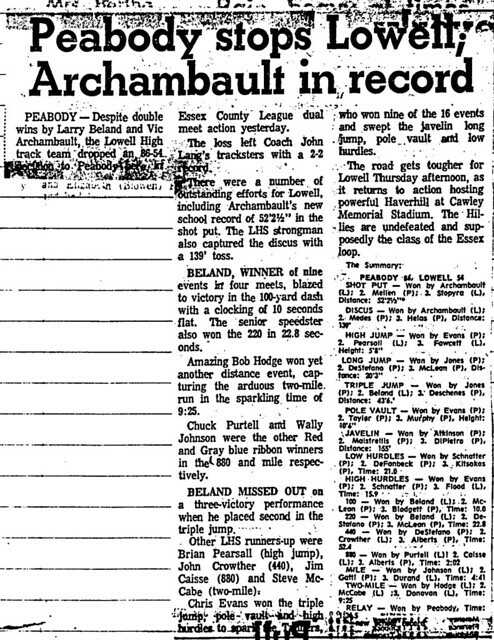 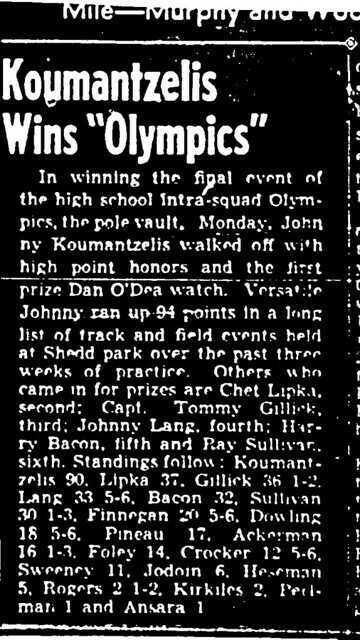 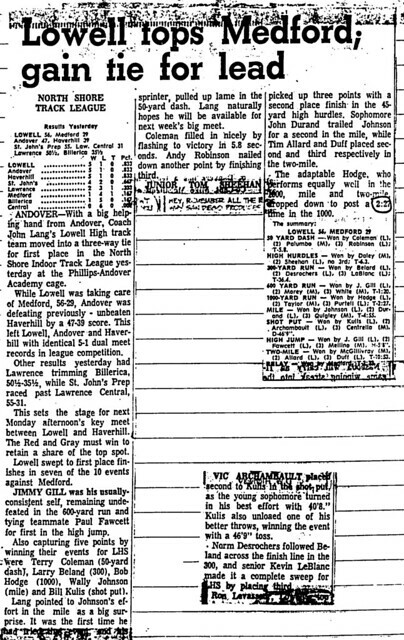 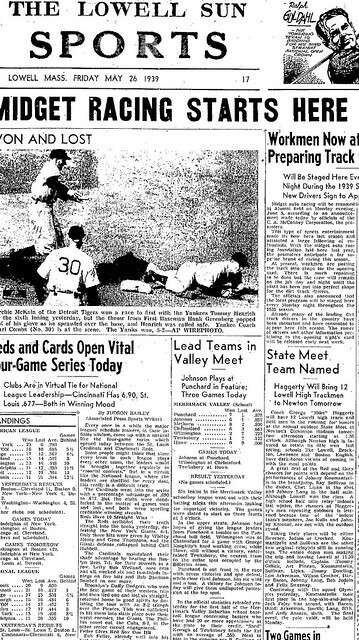 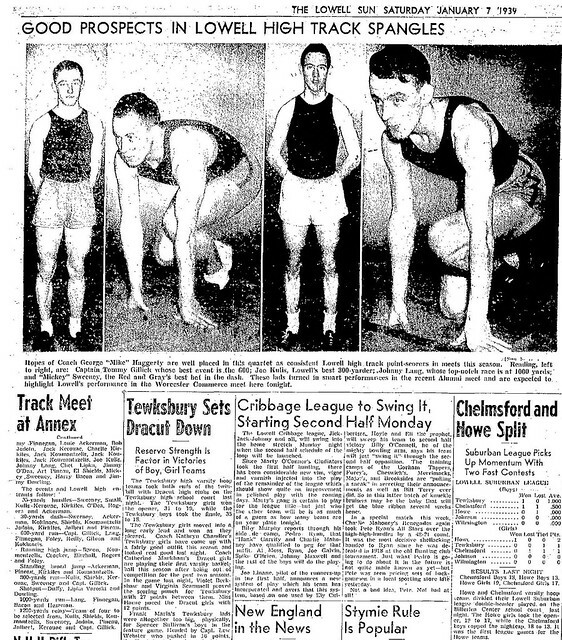 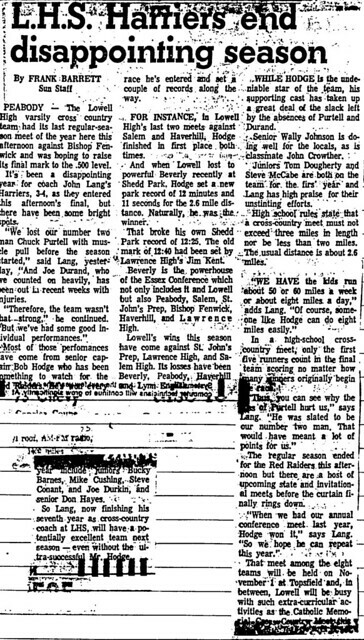 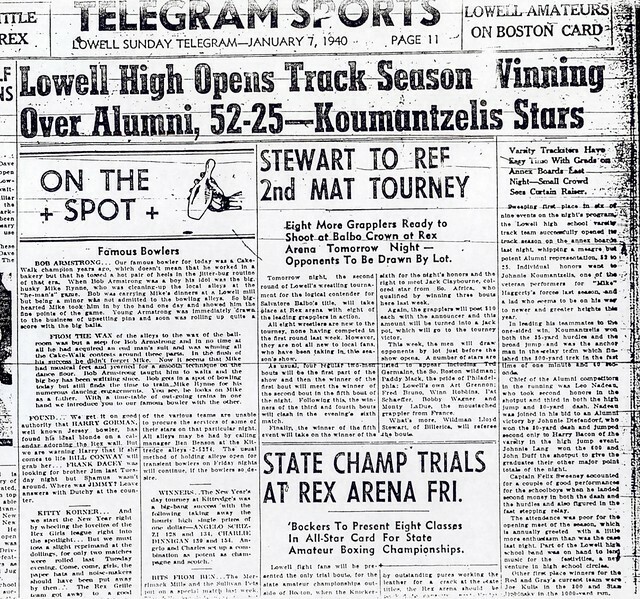 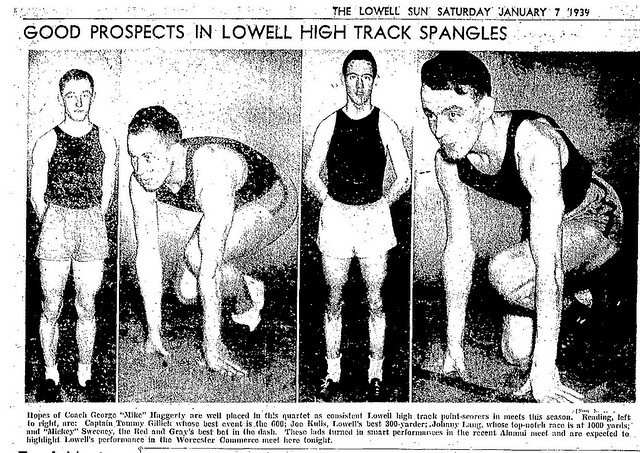 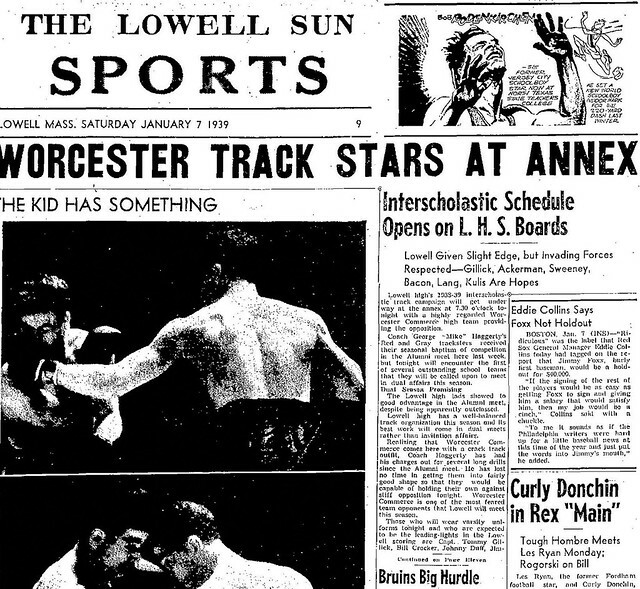 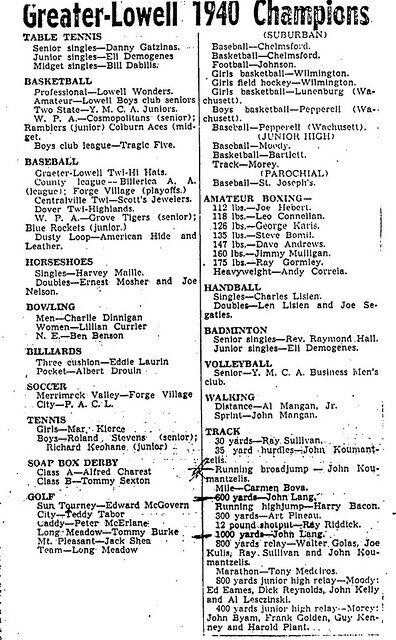 John also enjoyed considerable success in the highly competitive Lowell City Track Meets at the Paige Street Annex, on one occasion scoring a rare double, winning both the 600-yard and 1000-yard runs against strong competition. 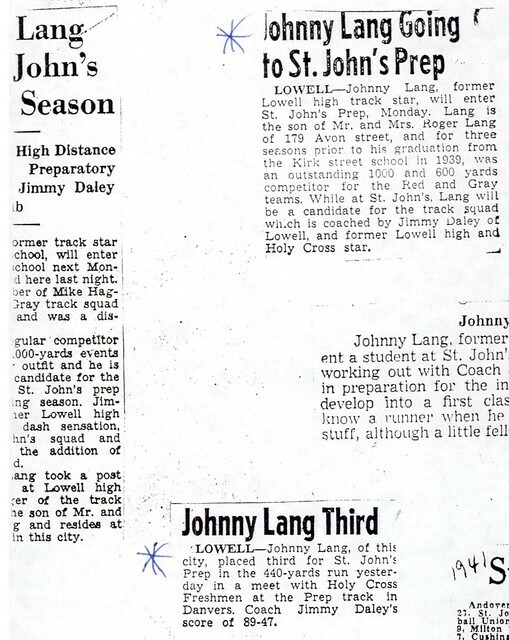 After graduation, John attended St. John’s Prep in Danvers where he continued his running exploits under Lowell High Athletic Hall of Famer Jim Daley. 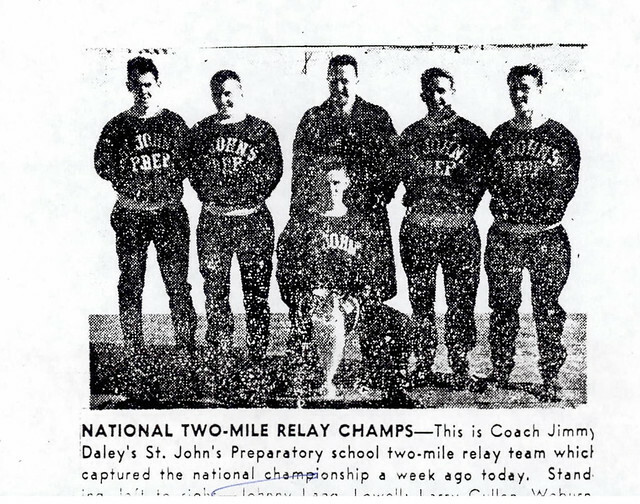 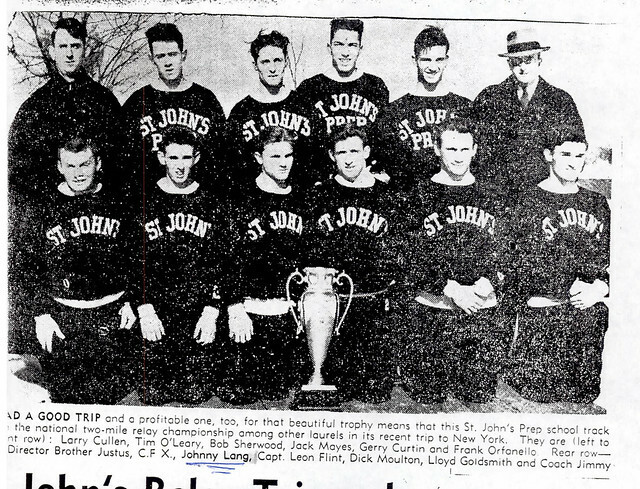 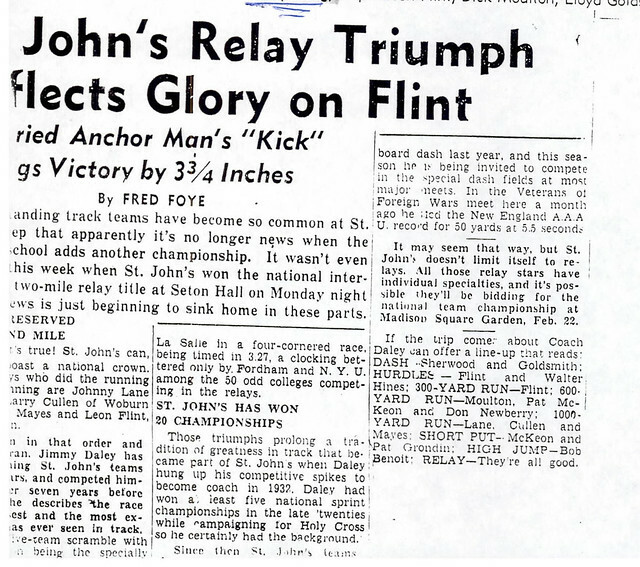 In what was undoubtedly the highlight of his running career, John was a member of the St. John’s 2-mile relay team that captured the National Title at the National Catholic Preparatory School Championships in Jersey City, New Jersey in 1941. 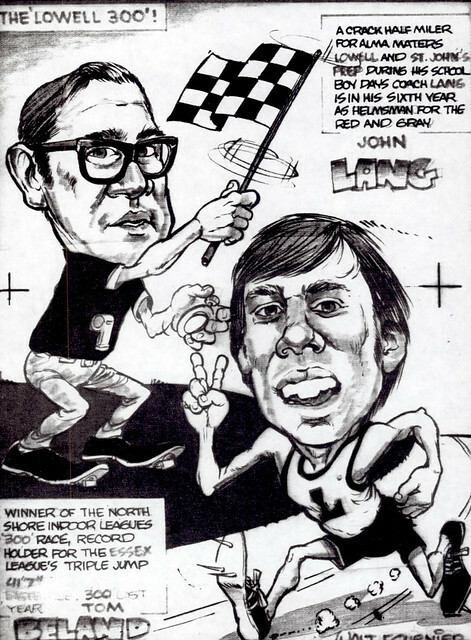 During his tenure as Track and Cross Country Coach for the Red and Gray John combined his considerable expertise with a quiet wit and infinite patience that inspired a generation of student-athletes. 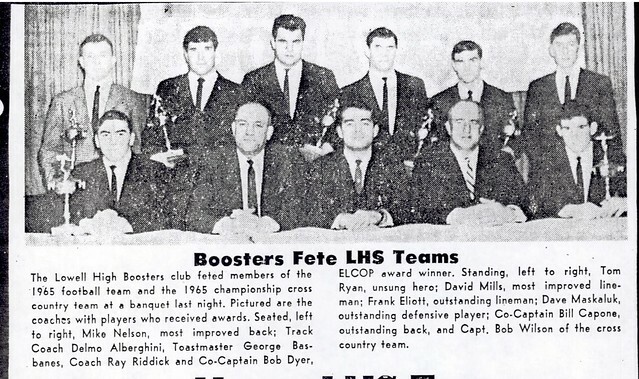 Included among the members of his teams were future Hall of Famers Rod Redman, Jr., Kevin Crocker, Tom Whalen, Peter Quinlan, Tracy Mitchell, Richard Gauthier, Frank Elliott, Tim Green, Steve Bilby, Paul Lanoue, and Bob Hodge. 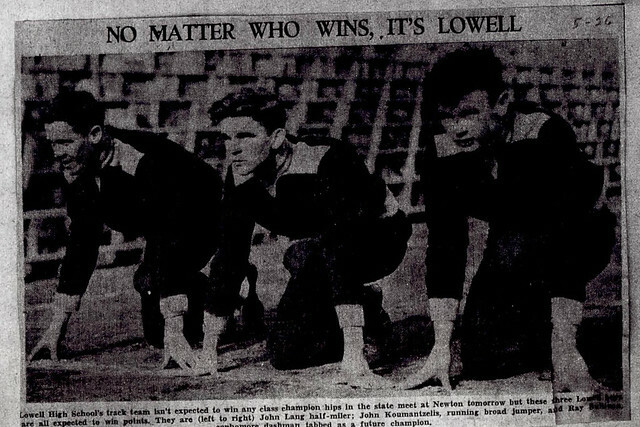 LOWELL — John E. Lang, 84, a lifelong resident of Lowell and a well-known track coach and member of the Lowell High School Athletic Hall of Fame member, died Sunday, Oct. 1, at his home. 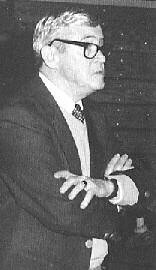 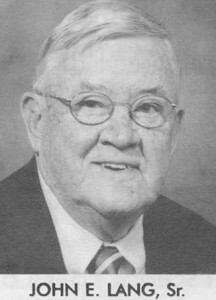 He was the husband of Mary Ann (Glasheen) Lang, who died in August of 1984. 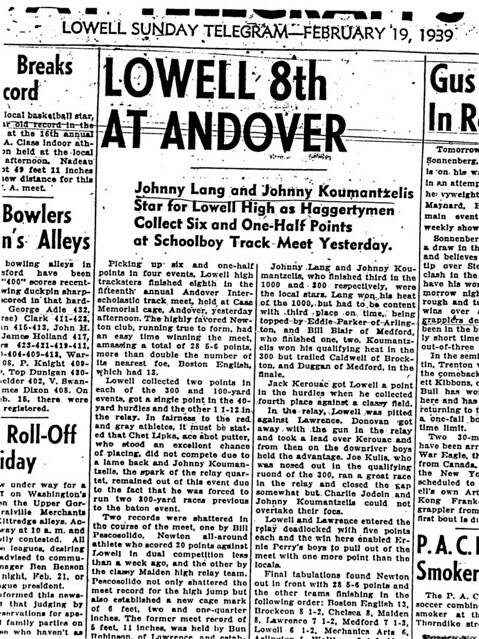 He was born in Lowell, Nov. 5, 1921, son of the late Roger J. and Katherine (Lowney) Lang. He attended Lowell public schools, and graduated from Lowell High School in 1939. 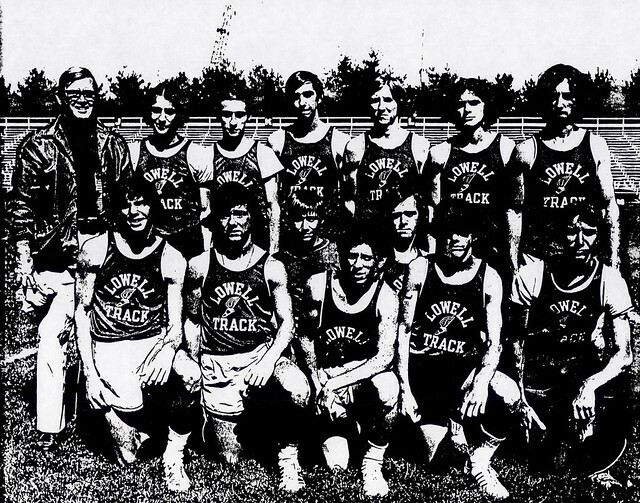 He was a member of the track team and cross-country team, and a standout middle distance runner. 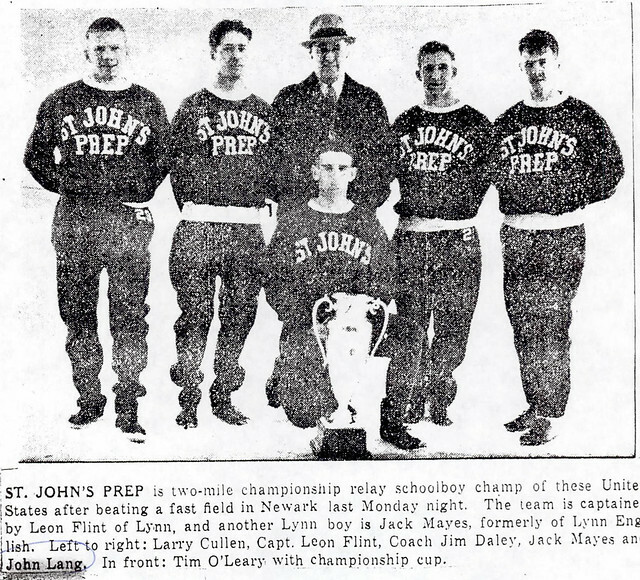 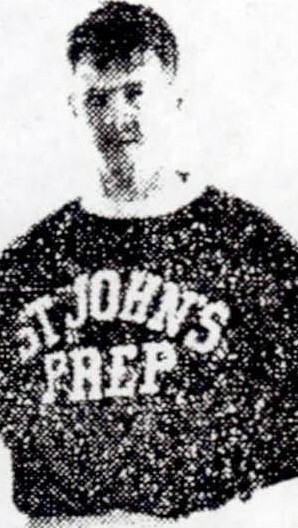 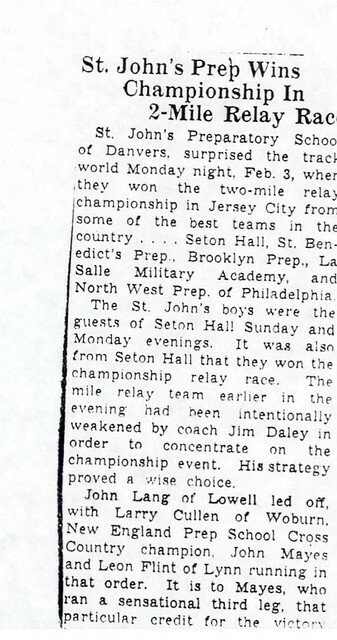 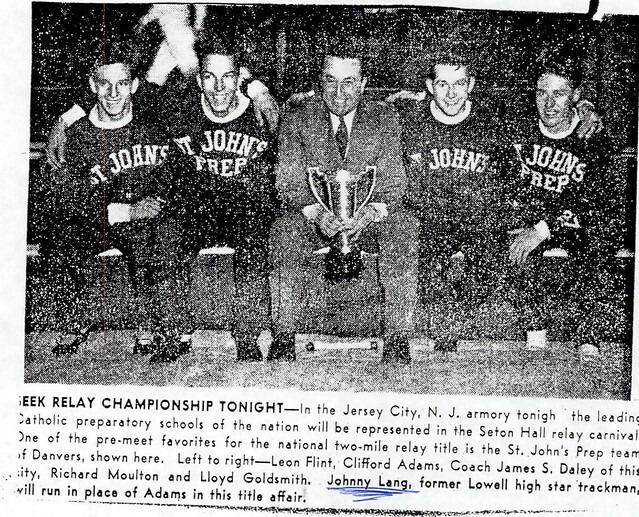 He then attended St. John’s Prep, where he was a member of the two-mile relay team which captured the national title at the National Catholic Preparatory School Championships in 1941. 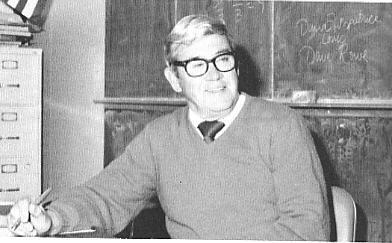 He then attended Holy Cross College.Mr. 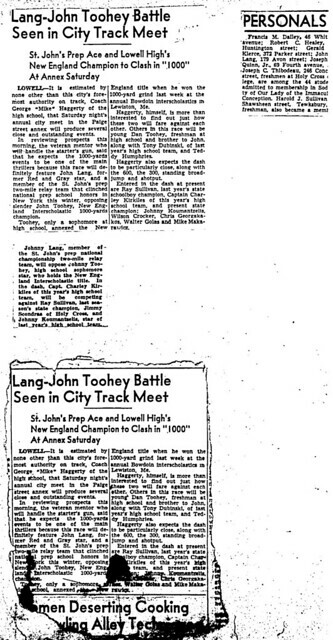 Lang served in the Navy during World War II.After the service, he finished his education at Suffolk University. 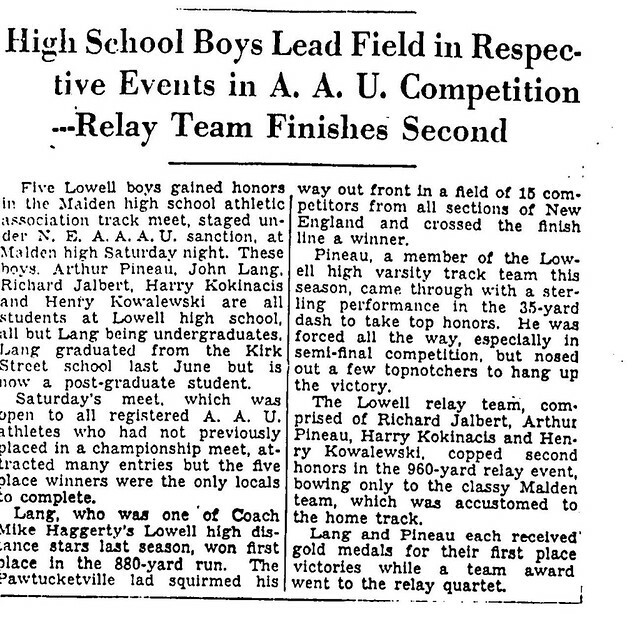 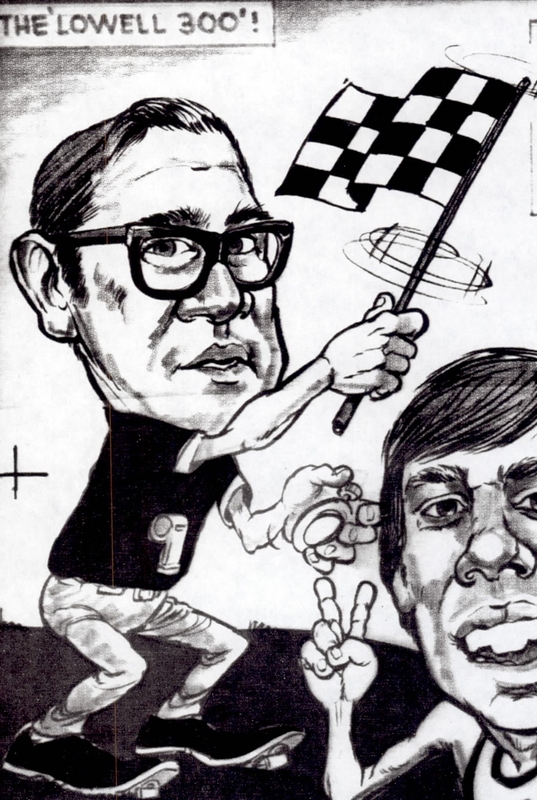 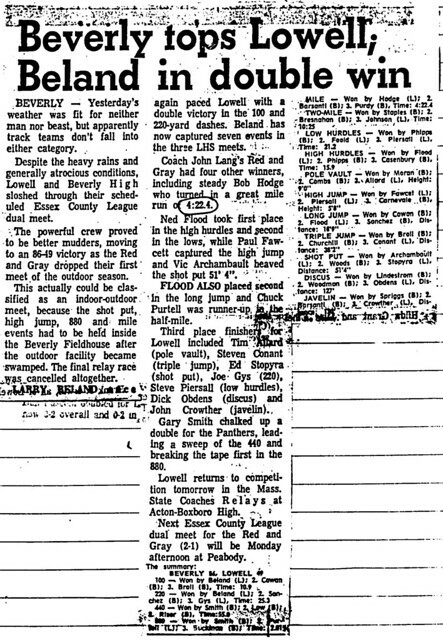 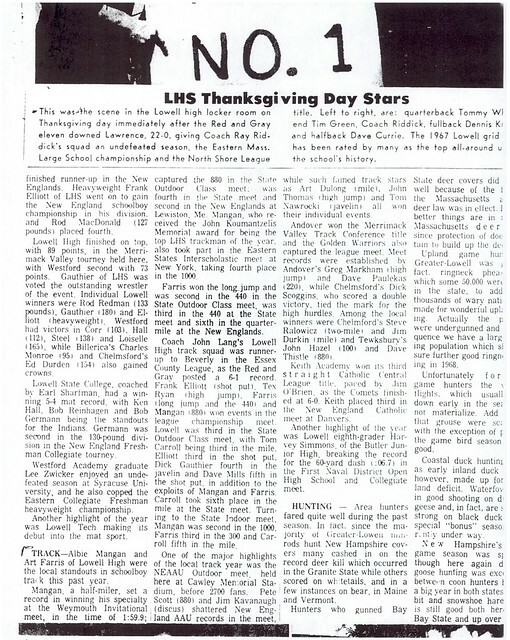 Mr. Lang had been employed as a teacher and track coach by Lowell High School from 1962 until his retirement in 1988. 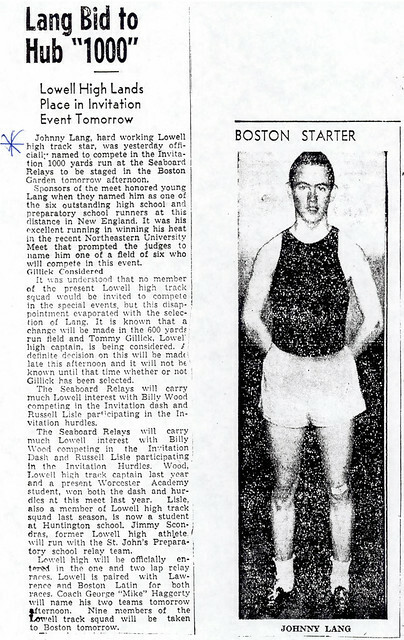 Previously, he had worked at General Electric and Educator Biscuit.During his years at Lowell High, he inspired several generations of student-athletes, and was a fixture on the local track scene. He was a communicant of St. Margaret Church and held membership in the VFW, Walker Rogers Post, Mount Pleasant Golf Club, and the Lowell Lodge of Elks, Lodge #87. 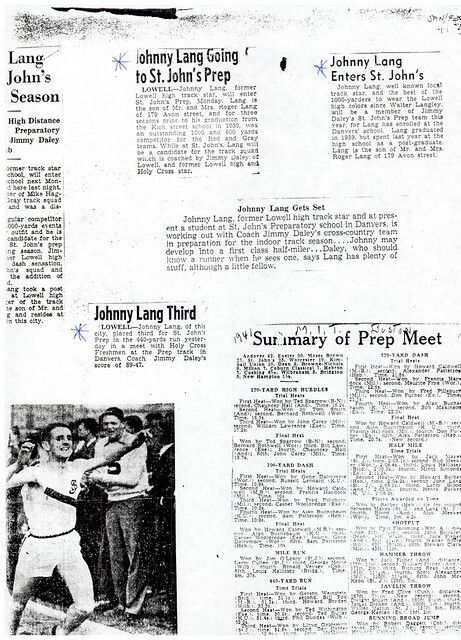 He was a member of the Lowell High School Hall of Fame, inducted in 2001, as well as the St. John’s Prep Hall of Fame, inducted in 1996.He is survived by a son and daughter-in-law, John E. Lang Jr. and Mary Lou (Woods) Lang of Methuen; a daughter and son-in-law, Nancy and Brian Delaney of Lowell; four grandchildren, Daniel, Timothy, and Kate Lang, and Erin Delaney; a great-granddaughter, Mackenzie Chhoeng; a sister, Anita O’Brien of Bethesda, Md. 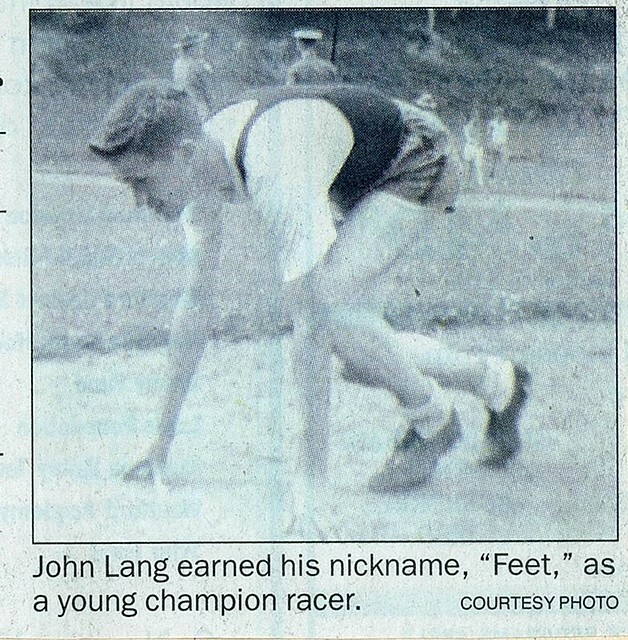 ; and several nieces and nephews.He was also the brother of the late William G. Lang and Roger J. Lang Jr.